Living at Golden Oak opens up a wonderful world of magical possibilities—including, of course, having Walt Disney World Resort nearby. But there's a special kind of magic and memories to be made right at home, thanks to the luxurious outdoor living environments here that are so beautifully built in. 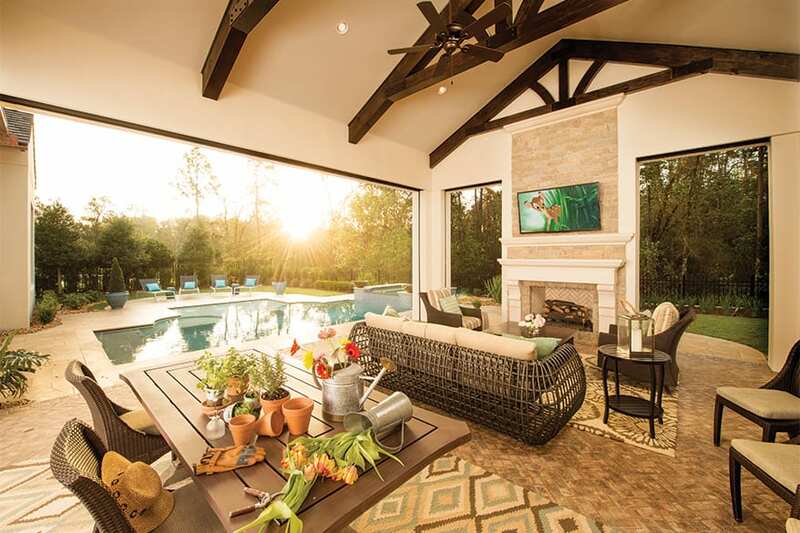 These outdoor living areas offer Golden Oak residents a casually elegant extension of their homes, with, given Central Florida's pleasant climate, seamlessly transitioned spaces for relaxing, dining, cooking and entertaining. These settings may feature a pool and spa, plush conversation areas, ceiling fans, television, a full kitchen with refrigerator and burners, grill and fire pit, to name but a few. Imagine Dad grilling New Year's lunch in the summer kitchen while watching a college football bowl game on TV. Mom and family friends are relaxing on the covered patio with mimosas while the kids are in the pool and the teens are hanging out in the adjoining great room playing video games. 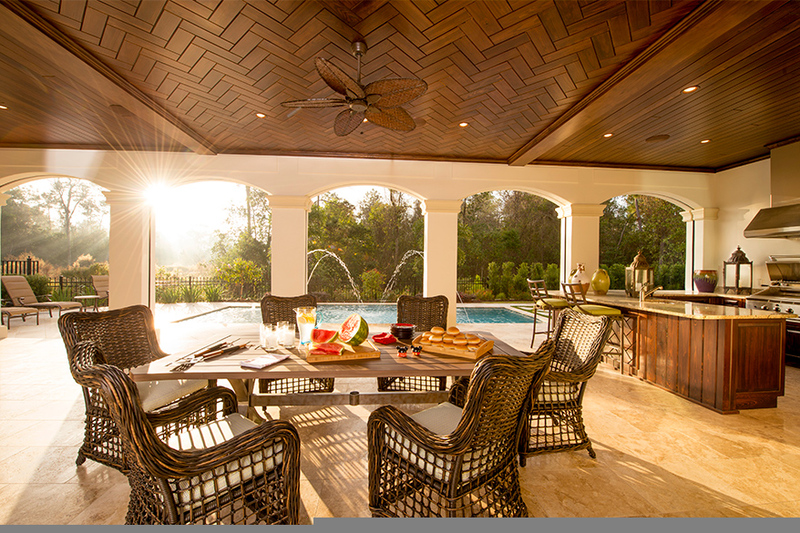 When the meal is ready, everyone gathers 'round the outdoor table in the lush courtyard. And later, you and the family stroll out the door to Summerhouse for transportation to one of the Disney parks. "Such a dream-come-true scenario is absolutely by design," notes Page Pierce, Vice President of Disney Resort Real Estate Development. After all, Golden Oak was master-planned by Walt Disney Imagineering, with its legendary attention to detail. Said one prospective resident, echoing the sentiments of many who have visited (and purchased) here: "The design of the homes and the layout of the community are superlative. It's part of Disney and all that it entails." 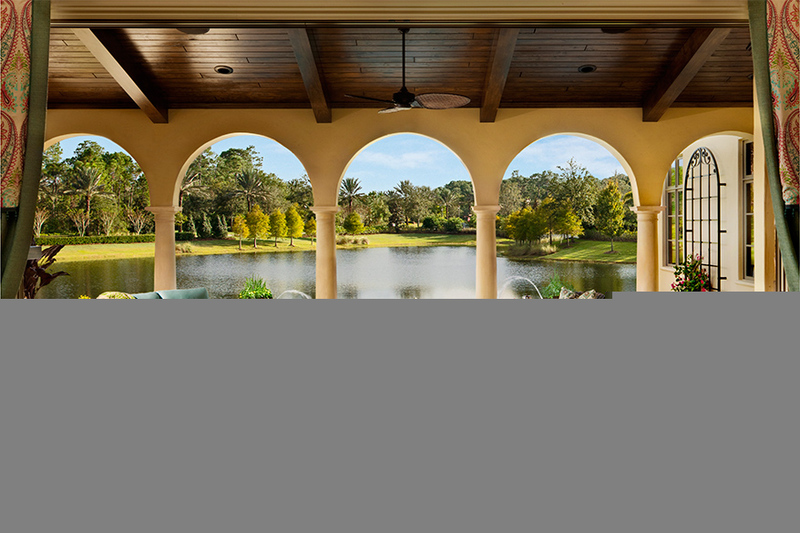 You can see it in how the community's signature old-world and Old Florida architecture is so cohesively translated into floorplans with private courtyards, pools and fountains, and sheltered porches. The effect is a graceful merging of indoor and outdoor living spaces. 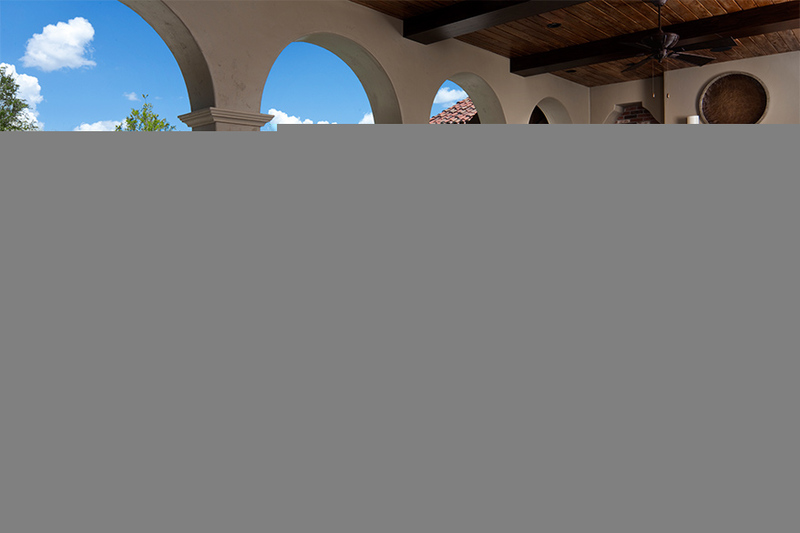 As a homeowner at Golden Oak, you can collaborate with your builder and/or interior designer to personalize your own indoor-outdoor living areas of striking presence, comfort and compatibility with the community's architectural standards. Be that during the design-build stage, or while choosing furnishings and adding personal touches, the possibilities and their enjoyment are near endless. 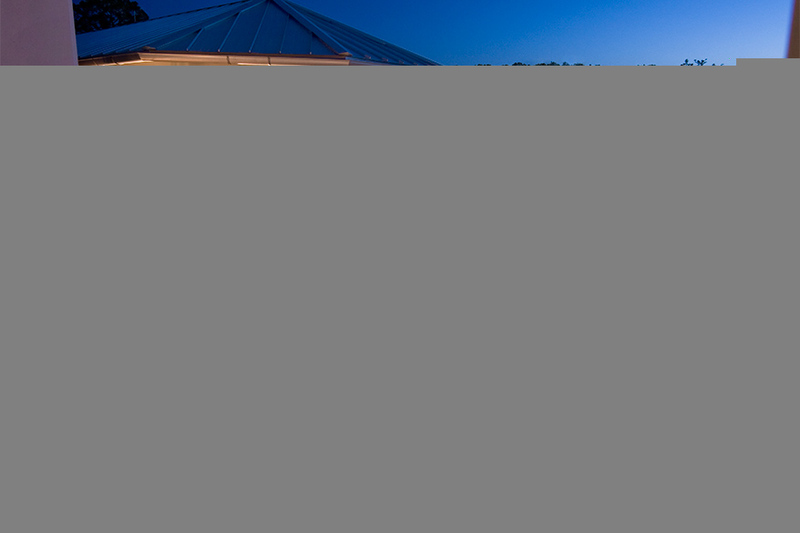 Would you like to see some of the ways Golden Oak residents are embracing the joys of outdoor living? Browse our photo gallery for stunning examples.